* Using a micro-corrector applicator sponge applies evenly and smoothly to erases dark circles and fine lines, invisible pores. It can improve skin greasy, dark circles, uneven skin tone and dullness, smooth skin, and brighten skin tone. 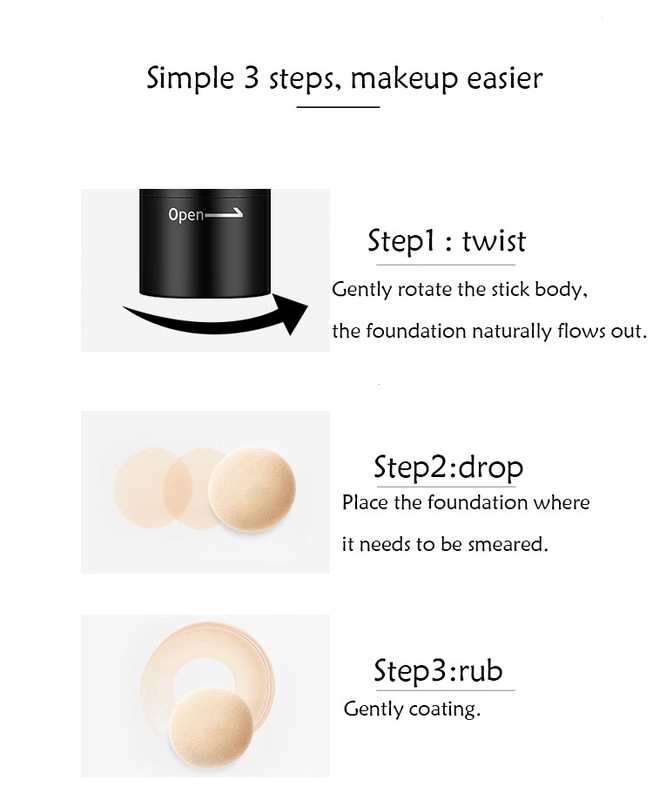 * Delicate texture, light and breathable, concealer stick effectively cover face spot, leaving the skin delicate and white. * It moisturizes the skin, improves skin dryness and tightness. * Removable sponge air brush head for easy cleaning and prevent bacterial growth. * Visibly diminishes the appearance of puffiness around the eyes and delivers smooth, flawless application. * Natural colors, skin-friendly, it can well coordinate skin tone and brighten skin tone to make your skin color look healthier.